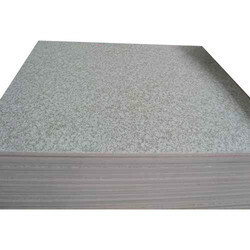 Offering you a complete choice of products which include armstrong ceiling tile, gypsum false ceiling, gypsum false ceiling board, metal ceiling tile, mineral fiber ceiling tiles and mineral fiber false ceiling tile. With the valuable assistance of skilled team of professionals, we are engaged in offering an extensive range of high-quality Ceiling Tile. With our years of experience & in-depth knowledge in this field, we are engaged in offering a quality-assured array of Gypsum False Ceiling. 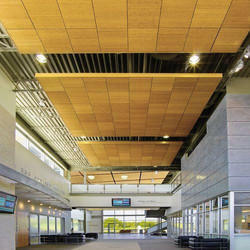 Acoustic performance: A ceiling should have good acoustics. It should enhance required sound, while eliminating or reducing unwanted sound. 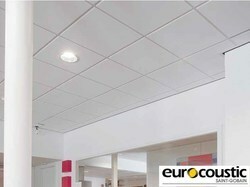 Light efficiency: A ceiling that reflects and diffuses light well reduces need for artificial lighting. The result is improved energy efficiency and a better working environment. Accessibility and service management: An important function of a suspended ceiling is concealing the plumbing, the air-conditioning system and electrical wiring. 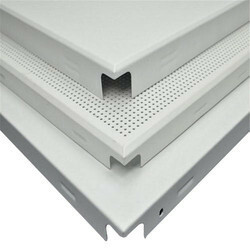 A good ceiling system also enables ease of access to such ducts and wires. 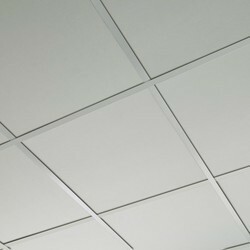 Riding on unfathomable volumes of industrial expertise, we are providing a broad array of Gypsum False Ceiling Board. The gypsum plasterboard false ceiling is a monolithic suspended system that allows you to achieve a beautiful , homogeneous appearance and a smooth finish without any visible joints. Curves, steps and other designer ceiling options can also be achieved with plasterboard. 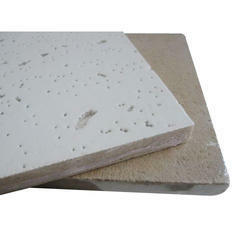 Different kinds of gypsum plasterboard are used for the false ceiling system depending on the application area. Panel Module Widths 2", 4", 6" & 8"
Weight Varies 0.5 - 1.0 lbs/sq. ft. 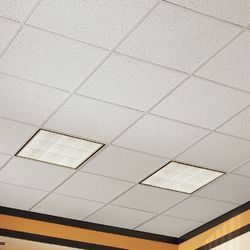 Backed by rich industry experience and market understanding, we are involved in offering a wide array of Metal Ceiling Tile to our valued patrons. 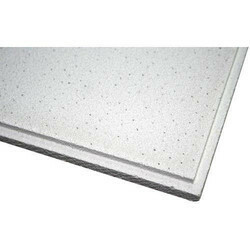 We are among the reputed organizations, deeply engaged in offering an optimum quality range of Mineral Fiber False Ceiling Tiles. Aimed at a prosperous growth in this domain, we are engaged in offering an excellent quality range of Armstrong Fiber False Ceiling.